The British Council has released 120 old films of UK life and culture, including several reels of London. "This film was put in production during the days when the Blitzkreig on London started," announces a caption, in oddly Teutonic font, at the start of 'City Bound'. The 10 minute film from 1941 relates the daily challenge of transporting London's population to work, all with stirring music and a narration in upper-class tones that sound hilarious to the modern ear. Opening caption aside, there's hardly an indication that the war is going on. This is London 'getting on with it', not making a fuss, going about its business. 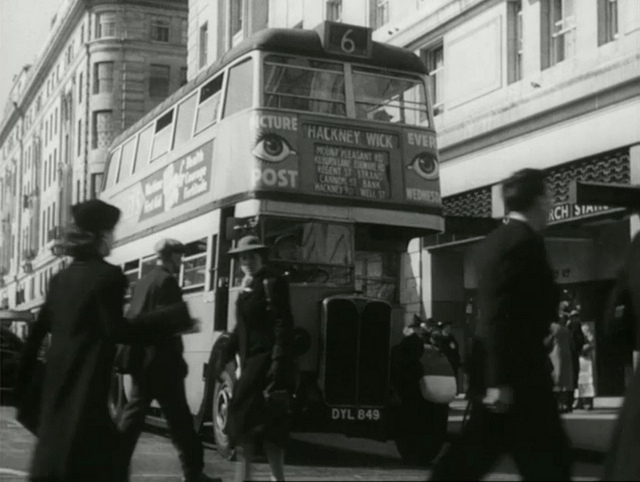 It's one of several London-based films from the archive. During the war years, the British Council busied itself promoting the country overseas to embassies, consulates and schools, with positive messages about Britain's spirit under adversity. London was a large part of that. In 'London 1942', we get glimpses of London transforming. Vegetables grow on City roofs, air-raid wardens patrol streets under blackout and, cited as one of the biggest changes, "women are being mobilised". If you're as infantile as us, you won't be able to listen to the ludicrously upper-class narrator for more than a few seconds without giggling and attempting an impersonation. You can watch these and other old films about London for free on the British Council website. Like this? See also the London Archive Film Festival, which runs 3-5 May 2012.